Build and drive this incredible, highly detailed 1:10 scale replica of the Lamborghini Huracán supercar, bringing new standards of design, technology and performance to the world of RC cars. 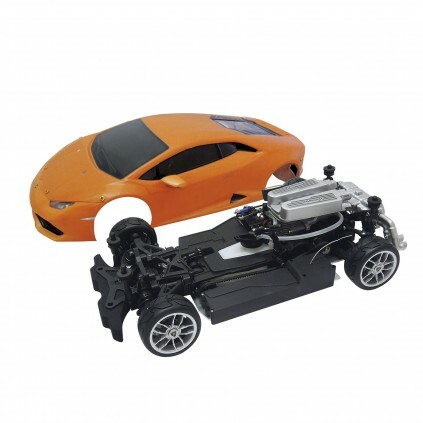 Technical innovations breathe life into this exclusive model, and its detailed realism is achieved through production techniques that set new standards in the world of radio-controlled models. 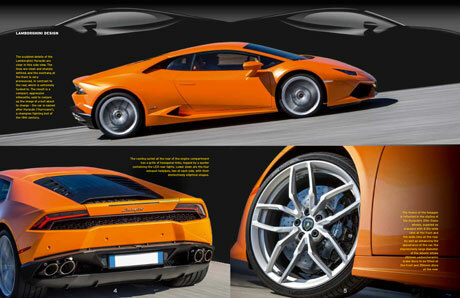 Order your Lamborghini Huracán full kit online today and receive everything in one shipment. 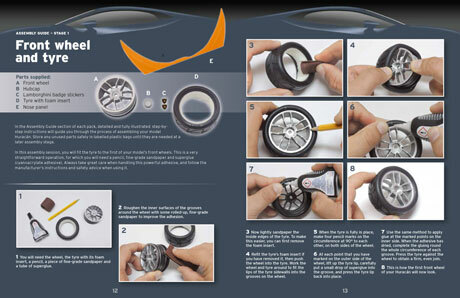 Comes complete with your detailed Assembly Guides. 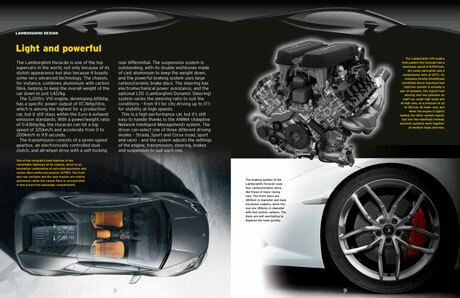 Innovative technology for uncompromising performance. 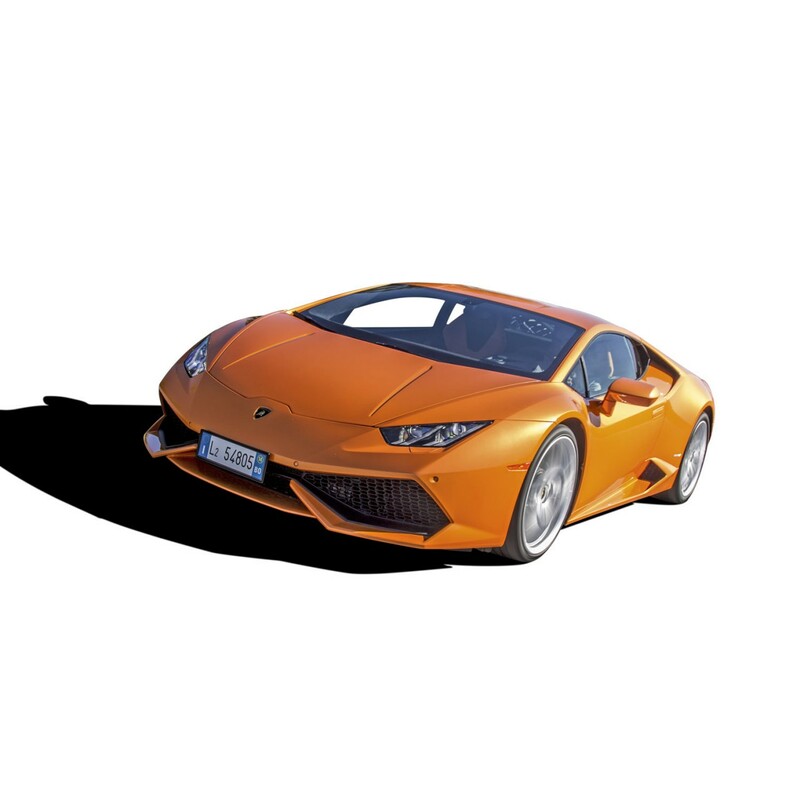 This remarkable 1:10 scale replica of the Lamborghini Huracán supercar is a brilliant synthesis of design and performance. Build your own radio-controlled model and discover exclusive hi-tech features, bringing new standards to the world of RC car models. 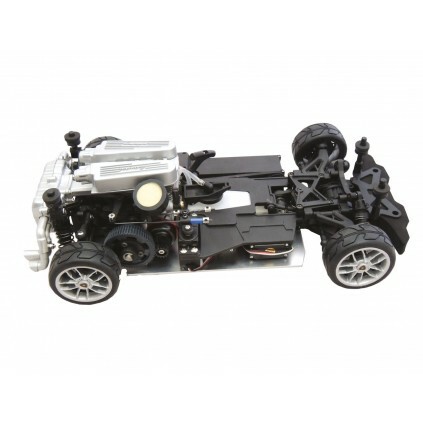 The faithfully detailed bodywork conceals an innovative technology, which includes all wheel drive with twin differentials, low loss belt drive transmission, ball bearings on all the rotating parts, and adjustable suspension geometry. Compared to a model with rear-wheel drive only, the power is delivered to the ground via the wheels and tyres much more evenly, and this ensures excellent acceleration and roadholding. 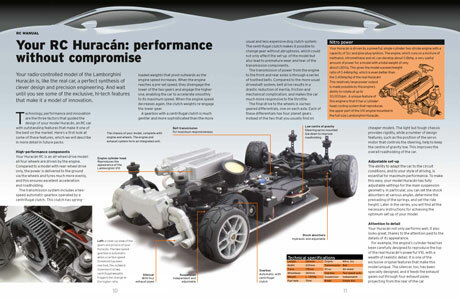 The ability to adapt the car to the circuit conditions, and to your style of driving, is essential for maximum performance. 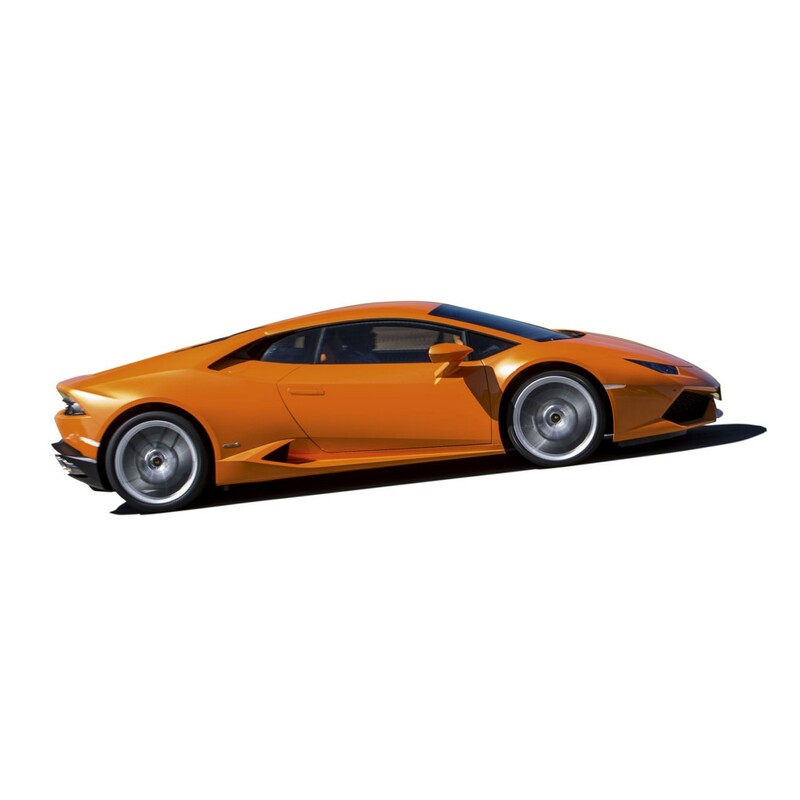 To make this easy, your model Huracán has fully adjustable settings for the main suspension geometry. Technology, performance and innovation are the three factors that guided the design of your model Huracán, an RC car with outstanding features that make it one of the best on the market. 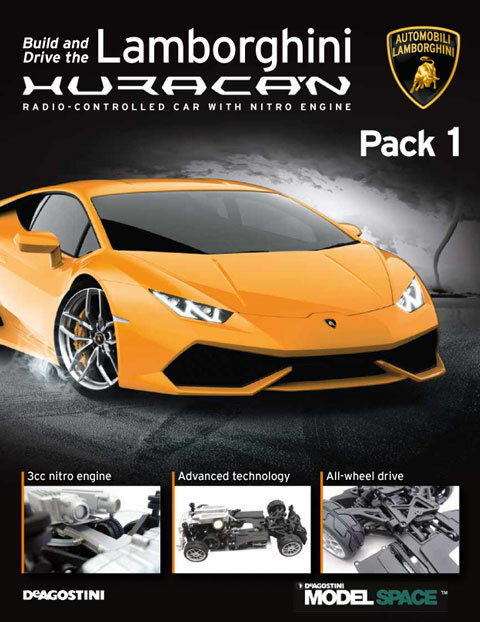 Complete Kit: You will receive your Lamborghini Huracán in one shipment of $1,299.99 plus $39.99 S&H. 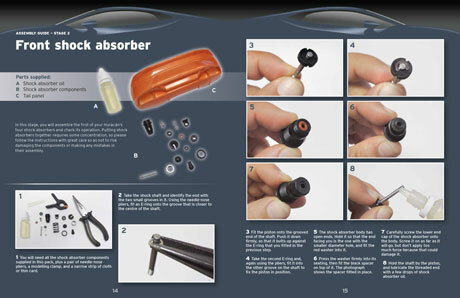 Free gifts: receive a free tool kit, essential glow starter and sophisticated remote control with your order. 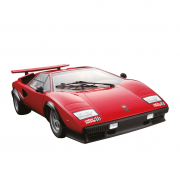 The trademarks, copyrights and design rights in and associated with the following Lamborghini vehicles Countach LP500S are used under licence from Automobili Lamborghini S.p.A., Italy. 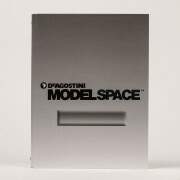 Get the essential Glowstarter (Ni - MH Battery, 1800 mAh, for models in scale 1:8 and 1:10). 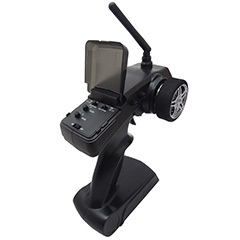 Receive a sophisticated 2.4GHz remote control with a double Led battery indicator, a pistol grip, 2 channel TX, a high adherence handwheel, a regulation trim for steering wheel and gas/brake. 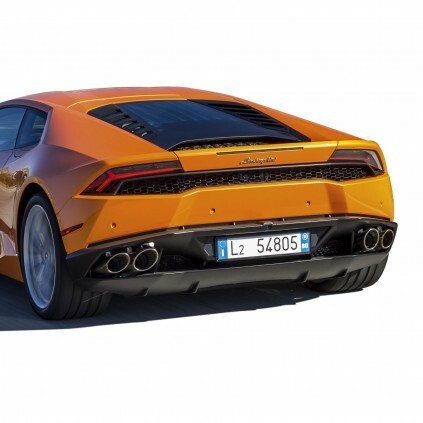 A unique feature of this engine is that it has a cylinderhead cooling system that reproduces the upper part of the V10 engine mounted in the full-size Lamborghini Huracán. The silencer has been specially designed, and it feeds the exhaust gases out through four exhaust pipes projecting from the rear of the car. 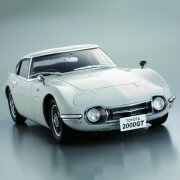 Two-speed automatic transmission for rapid acceleration and impressive top speed. 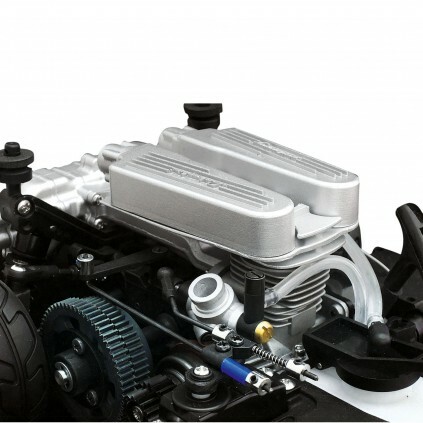 The transmission of power from the engine to the front and rear axles is through a series of toothed belts. 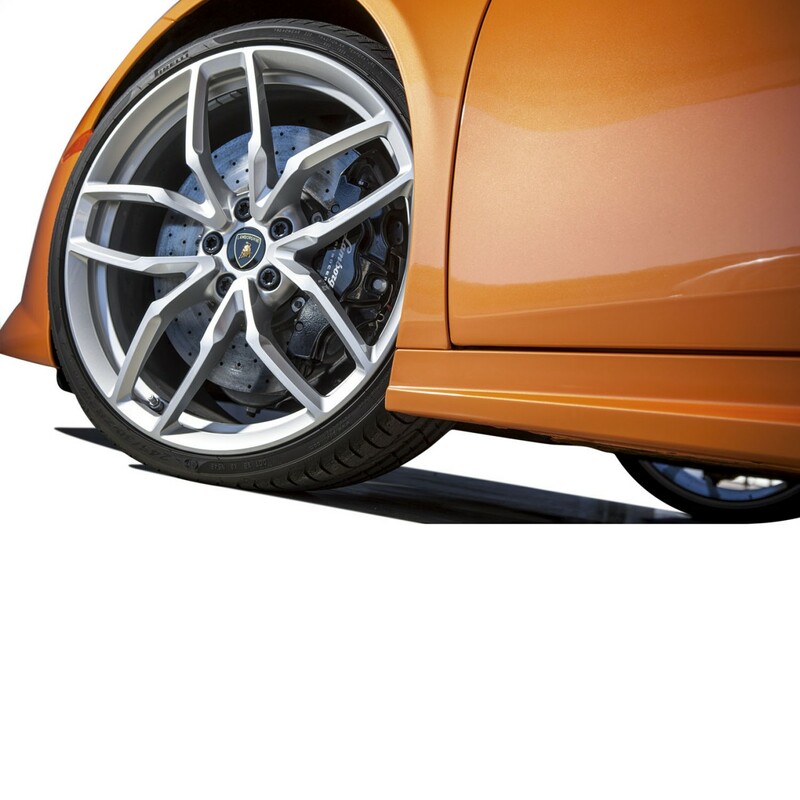 Each wheel is independently suspended individually , each with its own coil spring and adjustable shock absorbers . 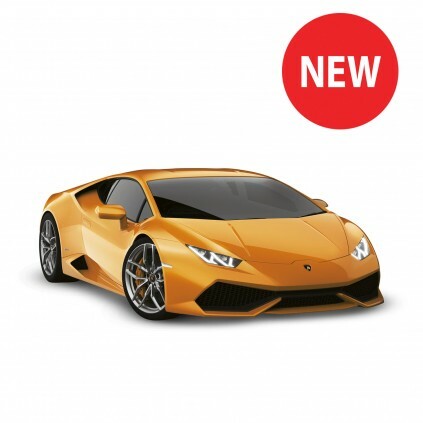 Full Kit includes beautifully illustrated guides to the unmistakable Lamborghini style, revealing the design secrets of classic models from one of the world's leading builders of supercars. 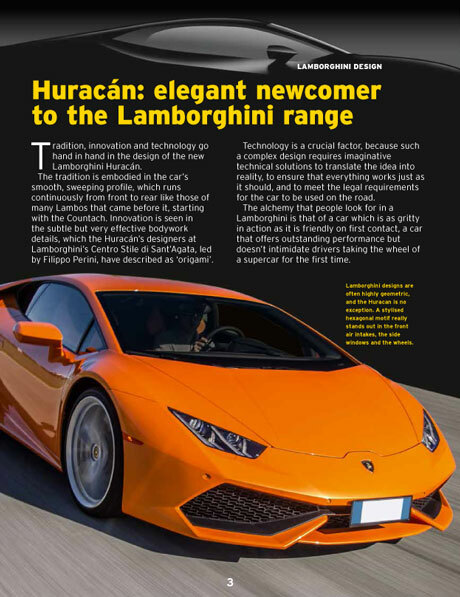 To help you get the most from your Huracán, there is a comprehensive technical guide packed with tips and information on adjusting its set-up and perfecting your driving techniques. 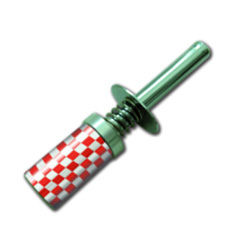 Finally, the clear, step-by-step assembly instructions will ensure that building your model is an enjoyable and rewarding process. 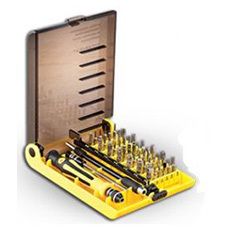 Through your building experience, you will have help from our experts with the easy-to-follow step-by-step assembly guide. 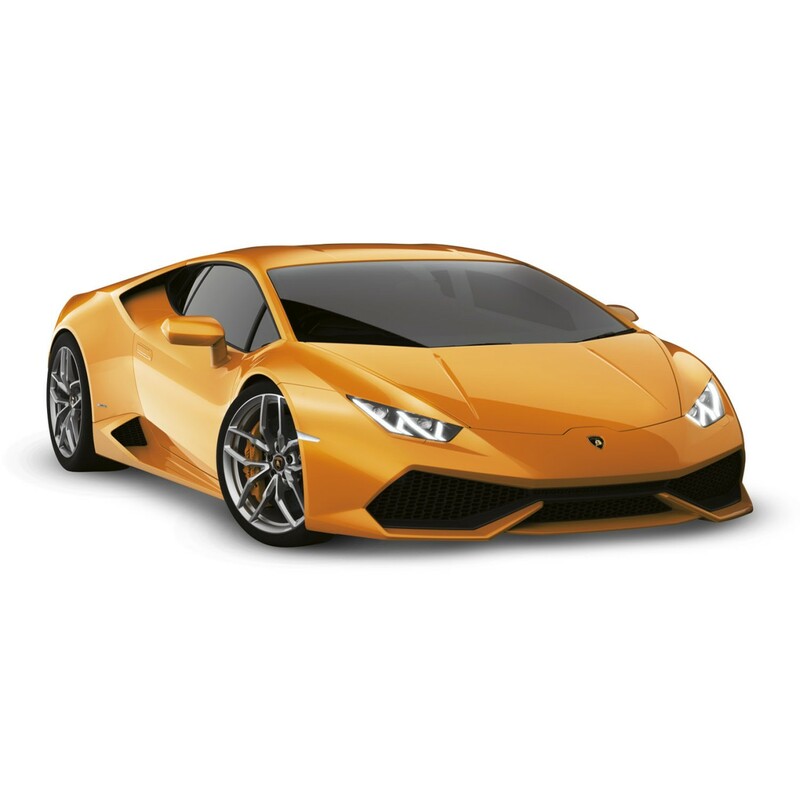 You can take a look also at our exclusive Build the Lamborghini Huracán forum and discuss with fellow modellers. 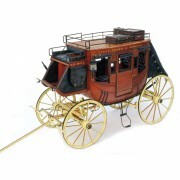 Even as a model-making novice, you can build this unique 1:10 scale model together in easy stages, learning the skills as you go.